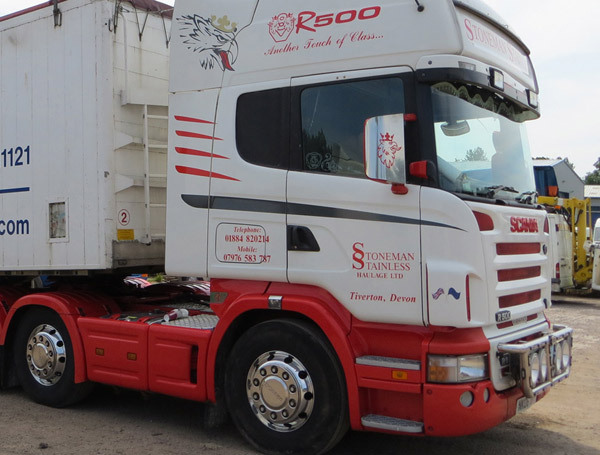 Based in Devon, Stoneman Stainless Limited started out as a trucker's hobby in the early 90's, manufacturing mirror guards and light bars for friends. Using his employers machinery in his spare time. Since those early days the company has developed into a thriving business with new products continually being added to our range. With the exception of small Aluminium spacers supplied with just one product from the complete range, everything is manufactured from a high quality, highly polished Stainless Steel, this includes all fixings and fastenings. 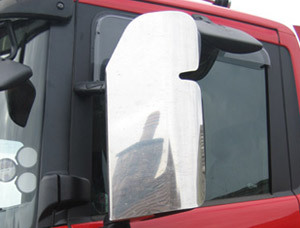 Our mirror guards are our most popular range. Avoid expensive mirror replacement by using these great mirror protectors. Take a look at our gallery to see the products we can provide for your truck. We offer a wide and varied range of products from lightbars to decorative items. Our product line is regularly updated with new items so remember to check in to see what's new. Contact us to discuss a product or for more information. 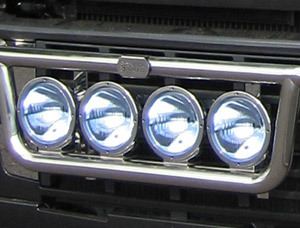 Providers of top quality Stainless Steel truck accessories, including mirror guards, light bars and much more. *Bespoke items may be longer. Please call for details. Website design and build by jcottrell.co.uk.